Teachers shape the lives of children. Not only do teachers share academic knowledge, but they are also role models every day to the children they engage. According to the Bureau of Labor Statistics (BLS), teaching positions across all levels are expected to rise: seven percent for kindergarten and elementary teachers, eight percent for middle and high school teachers, and 15 percent for postsecondary teachers. With such a positive job outlook, becoming a teacher is an excellent career choice, not only for occupational longevity, but for the lives of children yet to be taught. Once a teaching professional graduates, the task of job hunting begins. But, just like any other task, the intimidation factor of the job search and interview process can be greatly reduced with the right research, preparation, and tools. Read further to gain teacher interview tips about what the hiring process entails, how to prepare for it, and what you should and should not do during your interview. Does the district and school have any specific goals? If so, what are they and how can you bring your skills, talents, or experience to align and aid their goals? What are the state, district, and school teaching standards? Think about how your lessons would reflect and uphold these standards. Research the standardized tests that are used in that school. Make sure to research this carefully, as the tests can vary from state to state, district to district, and even from school to school. You should know the names of the tests and their formats. That information will help you provide informed answers when speaking about teaching students to take standardized tests. Look for school discipline policies. Be aware of what a school and district expect from their teaching staff and make sure your answers complement their policies. Research specific strengths and weaknesses of the school. You can then outline what you bring to the table in regard to those aspects. Look for areas where you may have questions. Proactively asking about the school and its way of operating shows you are engaged. Read forums or read the school’s own website for their common interview methods. This information will help you be that much more prepared for your interview. While there are many sources about teacher job hunting and interviewing, there is no need to feel overwhelmed by all the information. Know the school and district well enough to the point where you can speak in specifics instead of generalities. This is a firm indication to the school that you are committed, thorough, and professional. Now that you’ve done your research on the specific schools, it’s time to prepare for your actual interview. These teacher interview tips span four preparation categories: Q&A, portfolio, mock lesson, and outfit. Q: Tell us about yourself. A: Give a brief background (no more than a few sentences) involving your degrees, certifications, teaching experience, and why you would love the job. Q: How do you prepare students for standardized testing? A: Name the tests and their formats used in the school and how your lesson plans complement the tests. Q: How do you teach to state and district standards? A: Tie your lessons directly to the standards. If you have prepared a mock lesson, put the standards directly into your lesson plan. Q: What is your discipline philosophy? A: Answer this question keeping the school’s policy in mind. Generally, positive reinforcement, classroom rules and routines, appropriate consequences, using a firm voice, and refraining from yelling are excellent answers. Portfolio: Your professional portfolio should be well prepared and well put together, because it reflects your own personal capabilities. It should include your set goals and how you achieved them, as well as evidence-based teaching strategies and your success in using them. Your educational and professional credentials should be well organized and delivered in a straightforward way. Mock Lesson: Some schools may ask you to prepare a mock lesson. Here are some tips for success: keep it simple; choose a topic you are enthusiastic about; include plenty of time for teacher-student interaction and questions; and bring all needed materials such as markers, papers, and pens. Clothing: Dress smartly, but do not overdo it. Your clothes should be free of distractions such as stains, pet hair, or strong odors. Buying new clothes for the occasion is fine, but make sure they are comfortable and that you can move around easily. If you are uncomfortable in your new outfit, it may translate as being uncomfortable about the interview and teaching. Now you’ve done your research and are more prepared for the interview. However, there are a few tips and tricks you should keep in mind while interacting with your interviewers. Body Language: The way in which you carry yourself can speak volumes. Make sure to hold your shoulders back and sit up straight. Do not fidget with your fingers or anything on the table. Maintain comfortable eye contact when speaking. Remember Names: When your are introduced to your interviewers, make it a point to remember their names. This will come in handy when answering questions from specific interviewers and with any follow-up communications after your interview. Speech: Speak confidently and clearly as you would in commanding a classroom. Try not to use space-holders such as “um” when you speak. Practicing your answers beforehand is an excellent way to sound confident, well spoken, and knowledgeable. Take Your Time: The interviewers may ask hot-seat questions for which you may not have ready answers. Feel free to take a moment and compose your answer in your head before speaking. This will help ensure your response is well reasoned and is delivered smoothly. Be Aware: While the interviewers are obviously judging your performance, they may not be the only ones. As you enter the school, make sure to keep a professional demeanor at all times, interacting with other staff and students as if the interviewers were watching. Word can spread about you from the unlikeliest of sources, so make the best impression possible by treating everyone as a potential assessor. Ask Questions: Make sure to ask a few questions that demonstrate you have done your research and are invested in the school. Questions also show you are proactive, which is an excellent quality for a teacher to possess. Research, preparation, and teacher interview tips have helped you navigate the interview process. Now, there are a few key things you can do afterwards that may help you stand out from the competition. Thank You: After your interview, make sure to personally thank each and every interviewer for their time and consideration. Use their names if you remember them. This is important in making the interviewers feel they have a personal connection with you. Saying thank you is also basic good etiquette. Follow-Up Email: Upon leaving the school, make sure to follow-up your interview with an email. Mention how much you enjoyed speaking with the interviewers, how much you like the school, and that you look forward to hearing from them. If you remember details about specific interviewers, make sure to include them. Thank them again for their consideration. 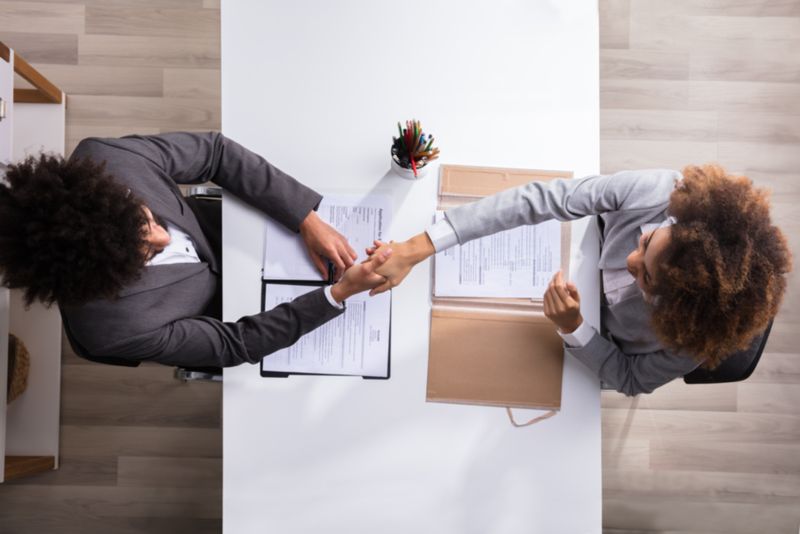 This type of follow-up lets the interviewers know you’ve taken the time to properly consider everyone involved, and that you are not just going from interview to interview. Teaching is more than just a job—it’s about embracing a life-changing role and affecting the lives of countless young people. The growing need for teachers at all levels of academia means the right job for you may be just around the corner. Using teacher interview tips and tricks can help you research, practice beforehand, and enter the interview as a prepared professional ready to rise to any teaching occasion.